Reyes Roofing Contractors, LLC has earned the respect of our Oakton, VA customers as being the best roofing company in the area, with over 20 years of roofing experience. If you are a homeowner or business owner in Oakton, VA in need of a residential or commercial roofing replacement or damaged roof repair, Reyes Roofing Contractors, LLC is the number one choice. We have been serving customers in the Oakton, VA area for more than 20 years, helping them with their roof installation and repair projects. Our roof installation experts are prompt, reliable and are CertainTeed Certified Master Shingle Applicators. Reyes Roofing Contractors, LLC works with the most reputable roofing manufacturers in the business and we are proud to offer only the highest quality materials and craftsmanship so that you can enjoy long lasting beauty and durability. We are one of the few roofing contractors who can boast the credentials of being a CertainTeed SELECT ShingleMaster, CertainTeed Silver Star Contractor, EPA Lead-Safe Certified Firm, and a Velux Five-Star Skylight Installer. The roofs we repair and install come in many shapes and sizes, and we even offer other services such as skylight installation, gutters, siding and more! Click here to see a project gallery of our work. 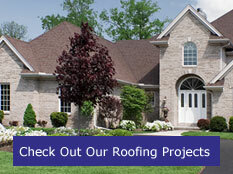 For a free, no-obligation roofing estimate, click here. 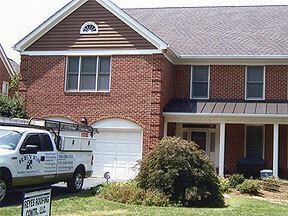 In Oakton, VA, contact the roofing experts at Reyes Roofing Contractors, LLC.